I got the inspiration from this painting here. 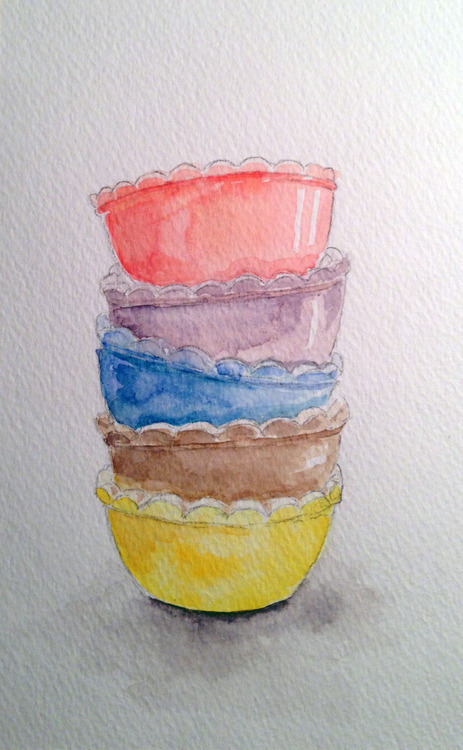 I think this set of vintage Pyrex bowls are just precious! I used very textured paper so no scans today, iPhone photo it is.